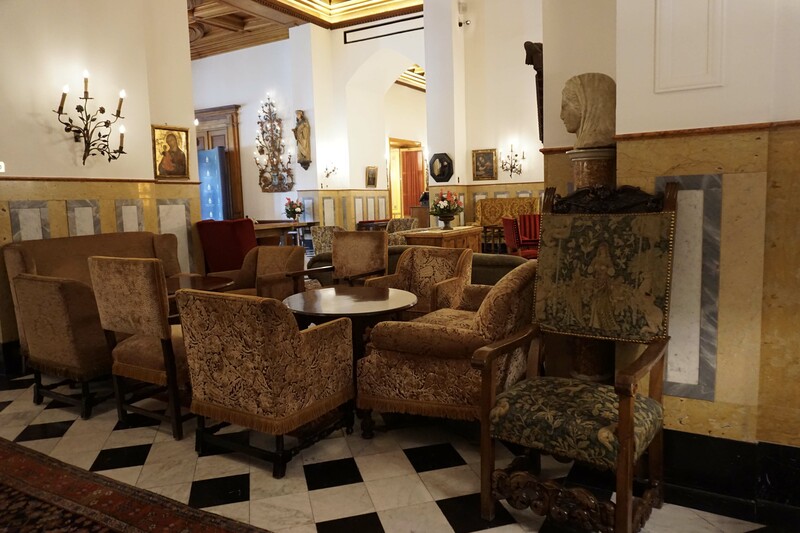 There are hotels that looks like a palace, palaces that have been turned into luxury hotels and then there is a Palace Hotel where you are actually treated liked Royalty! 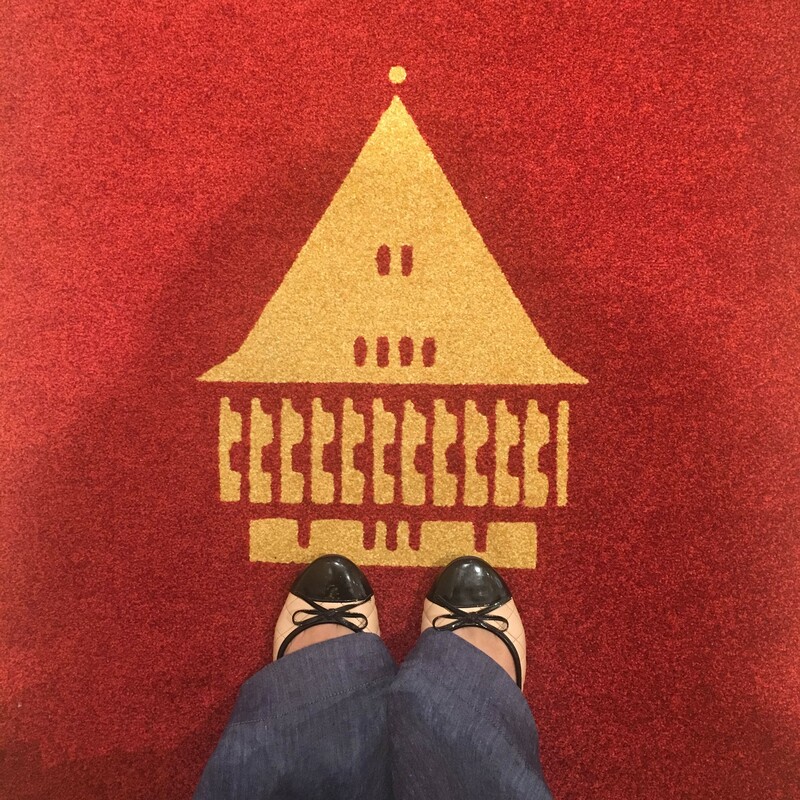 The minute you step inside the doors of the Badrutt’s, at that exact moment when doorman with his velvety maroon and gold hat opens the doors for you with a welcoming smile – you feel like a princess stepping into her castle! 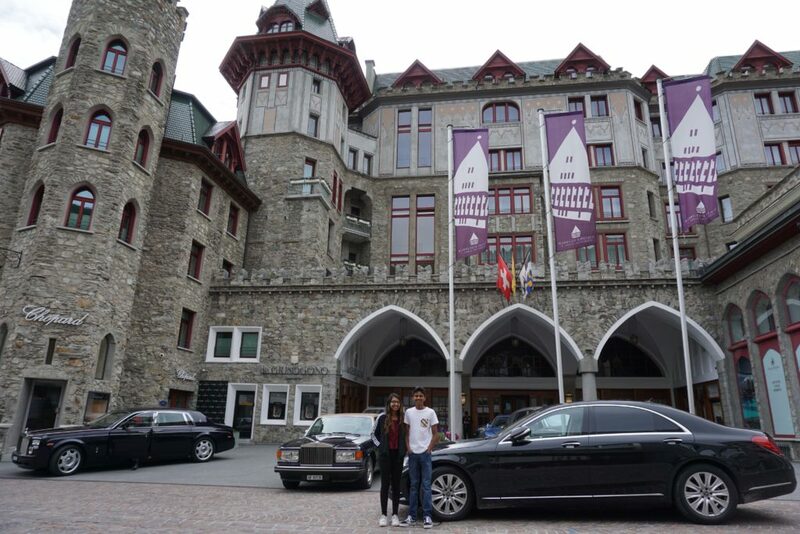 My kids got starry eyed every time we walked in or out those doors for the 3 days we were at Bardrutt’s Palace Hotel, after all they have a few Rolls Royce as house cars and don’t skimp on any extravagance!! 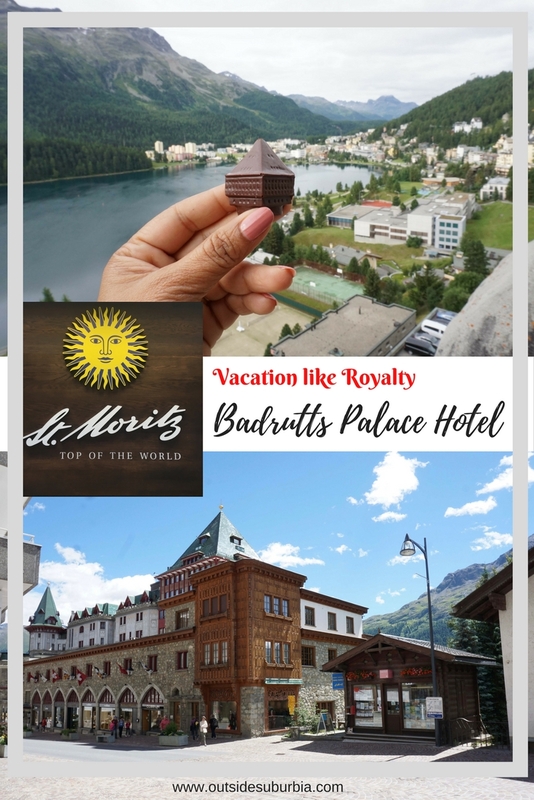 Badrutt’s Palace Hotel, in the center of St. Moritz, has been synonymous with glitz and glamour since the resort opened as the Palace Hotel in 1896. It has been a favorite resort for the likes of Audrey Hepburn, Marlene Dietrich and Charlie Chaplin. 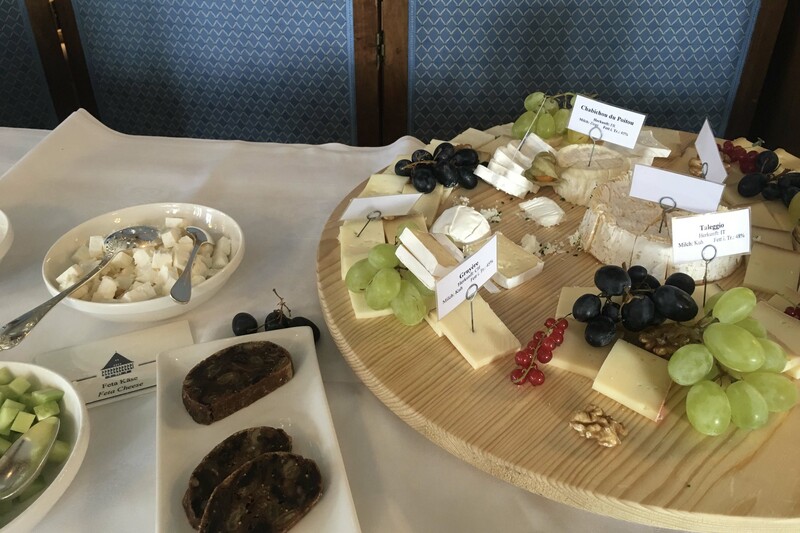 It has held a place of pride in the Swiss Alps for more than a century since it first opened. Alfred Hitchcock became a loyal guest after spending his honeymoon there, and even an elephant is known to have once graced its halls for an elaborate parties. The lobby with its palatial sofas and antique furniture exude a cozy yet luxe vibe. Today’s jet set continues to embrace this luxurious vibe. Le Grand Hall, the spacious lobby, is a favorite see-and be-seen, whether après-ski or during the summertime when the hotel bustles with wellness seekers who come for the region’s magnificent landscapes, as well as for the hotel’s renowned spa, the Palace Wellness. 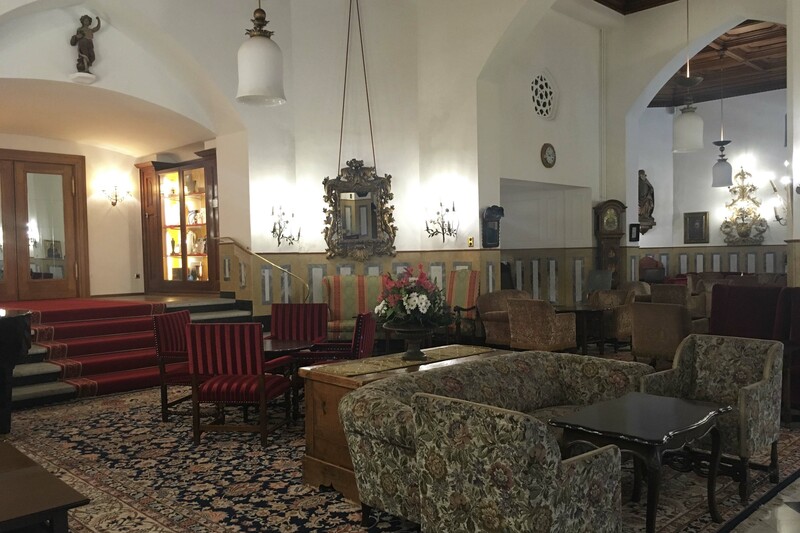 A well-known landmark of Sankt Moritz, the Badrutt’s Palace is a member of Leading Hotels of the World, Swiss Deluxe Hotels, and Swiss Historic Hotels. 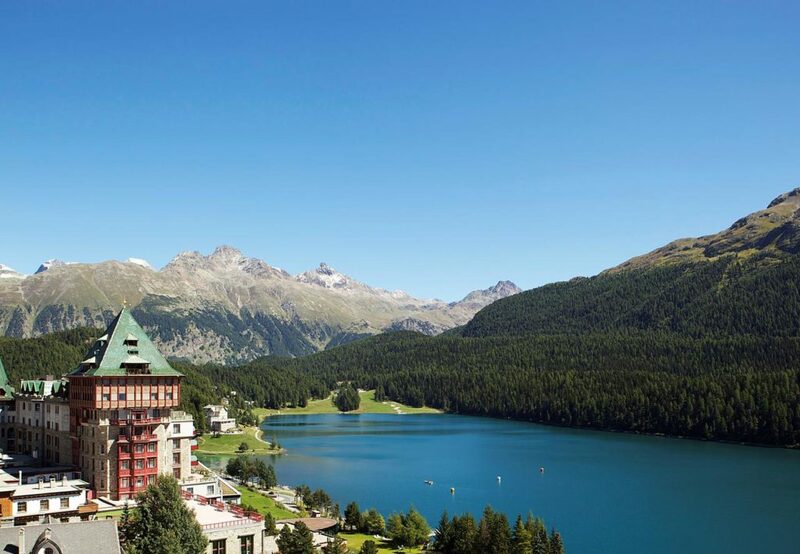 Set in the center of St. Moritz above the crystal clear lake, Badrutt’s Palace Hotel with its green turrets looks like it belongs in a fairy-tale book. I bet it probably looks more enchanting when the towers are covered in powdery snow in the winter months. 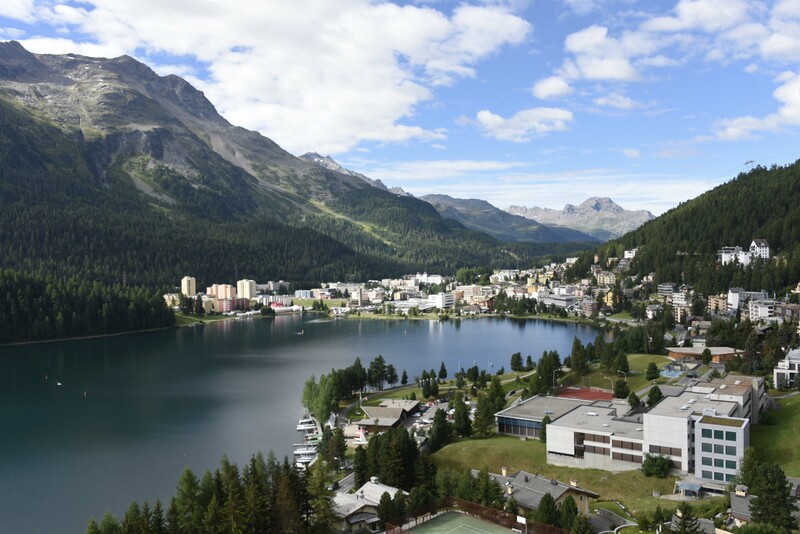 The luxurious 5-star hotel in the center of Sankt Moritz offers panoramic views over the Engadine Alps and Lake Sankt Moritz. 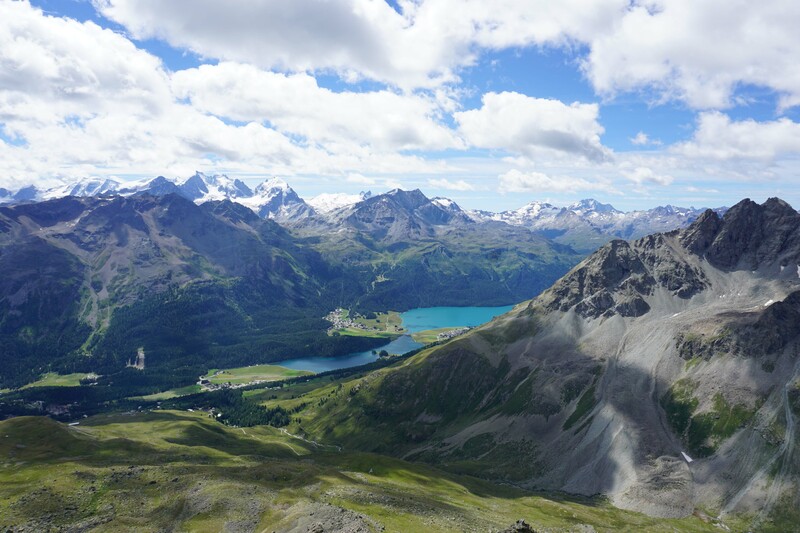 The Corvatsch Cable Car is just 1,650 feet away and if you are not up to walking, you can have one of the Rolls Royce drop you off at the cable car station. We spent crisp mornings in our balcony watching the sail boats on the lake with coffee in hand and the evening were just as magical when the sun paints the sky and the lake in shades of yellow. Each of the rooms and suites at Badrutt’s Palace Hotel comes with personalized butler service who are always available on request. 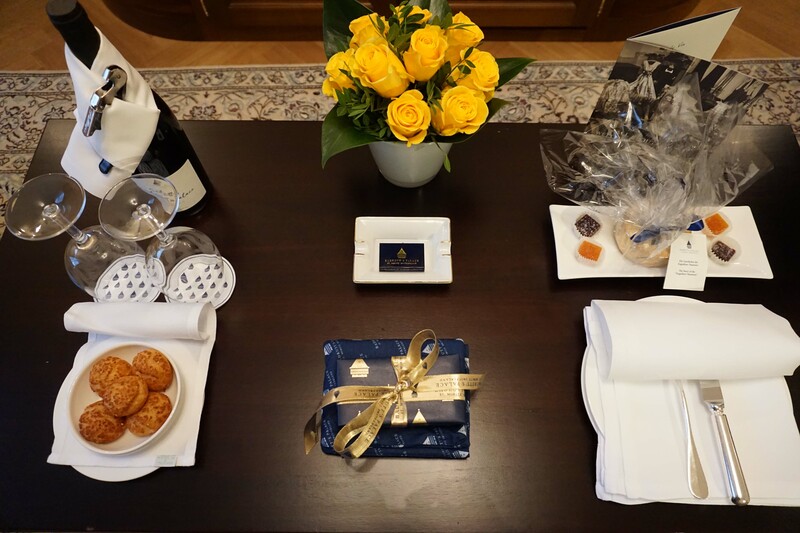 We were welcomed with fresh yellow roses, a bottle of wine, a local nut cake and disposable camera for the kids to capture their #Badrutsmoments. Our elegantly furnished rooms with big windows and a balcony were overlooking the mountains and the lake. We had two adjoining rooms which was a nice upgrade from the family room with a sofabed. They both featured a flat-screen satellite TV with free movie channels, luxurious linens and a spacious marble bathroom with heated floors. I can still smell the alpine scented bath salts and bath products custom made for the hotel. 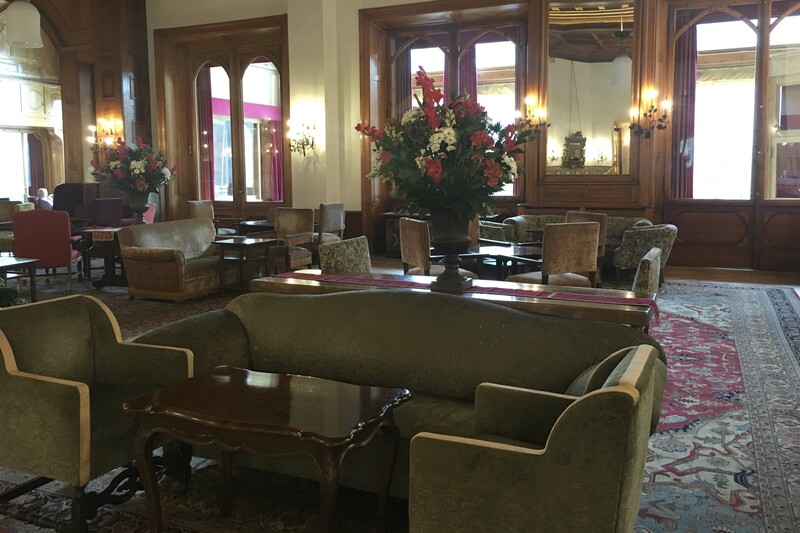 There was a beautiful sitting area with crystal chandeliers where the kids played xbox games they got to borrow from the concierge. There are 120 rooms in four different categories and about 30 plus suites dressed timelessly in brocades of gold and charming antiques. Unlike many luxury hotels that would charge for extras, all rooms enjoy complimentary minibar, WiFi and movies. 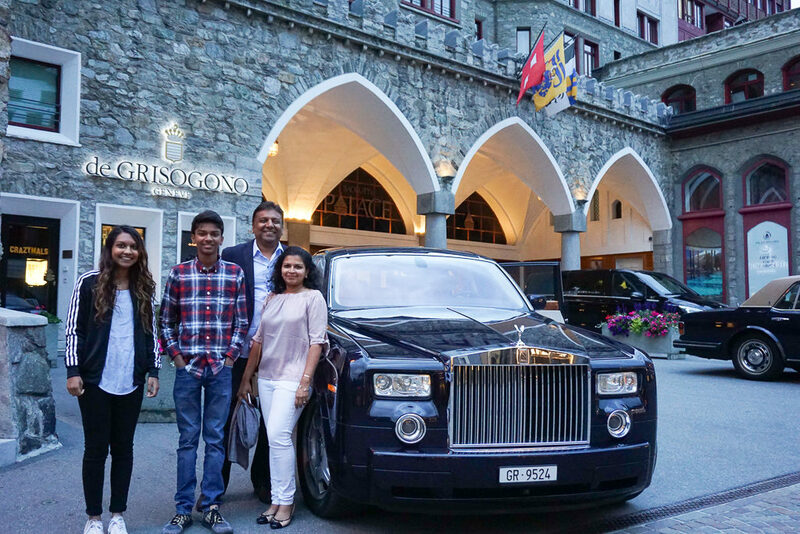 In the evening we got dressed up and one of the house cars aka Rolls Royce dropped us off for dinner at Chesa Veglia, which is a beautiful building dating back to 1658 and one of the oldest farmhouses in St. Moritz. 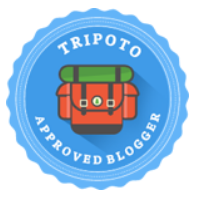 With dim lights and wooden walls, the atmosphere was cozy and service excellent! 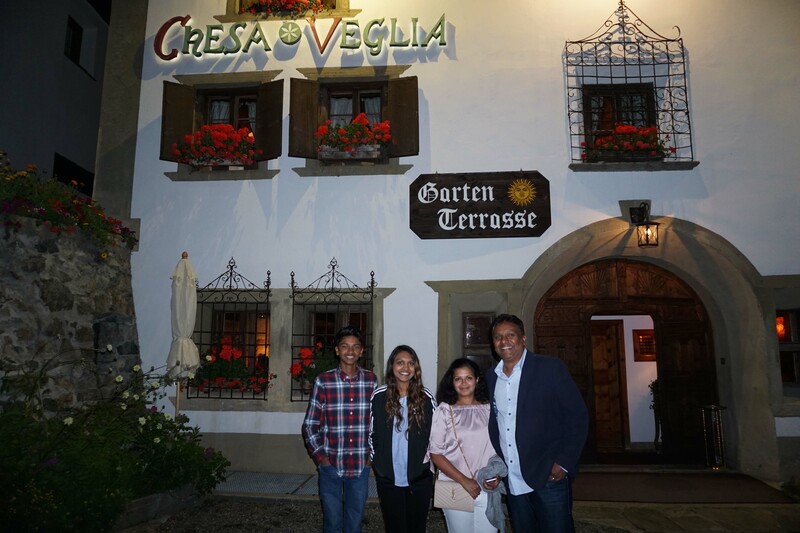 It houses the Pizzeria Heuboden that serves Italian pizzas and pasta, French cuisine at Grill Chadafö (French cuisine) and Patrizier Stuben that serves Swiss and international dishes. 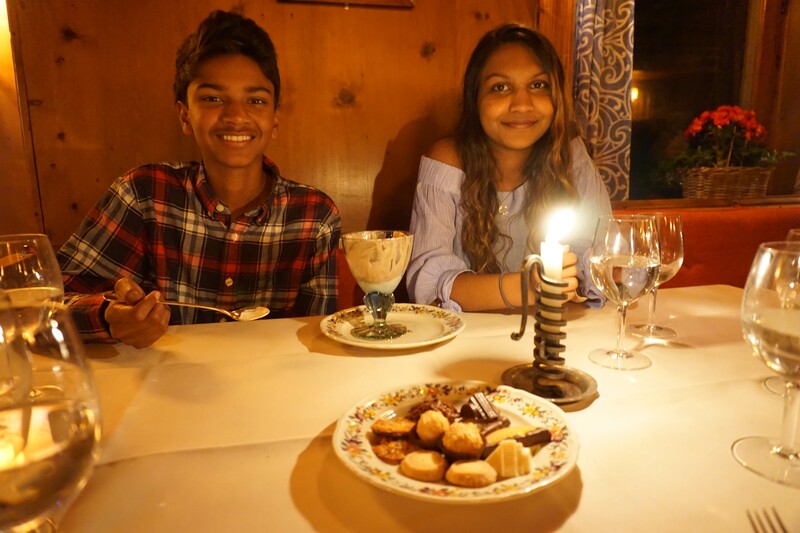 While I tried Capuns Engadiner an Engadin style vegetable with cheese and cream sauce and sliced truffle, Miss Teen had Ravioli with porcini and ricotta cheese and the boys had some of the Veal mignons with Brie fondue and black truffle. There are 11 restaurants in Badrutt’s perhaps to fit every mood. Japanese star chef Nobuyuki Matsuhisa (“NOBU”) opened this new restaurant La Coupole/Matsuhisa@Badrutt`s Palace in the former tennis hall, which was once Europe’s first. The stylish restaurant incorporates a cocktail and sushi bar as well as a private dining room. La Diala is the romansch expression for “mountain fairy” and symbolizes Badrutt’s Palace Hotel’s connection to its sylvan surroundings. The cozy modern interiors, crafted from local materials, suit the fresh, spa fare on offer, including crisp salads and seasonal Mediterranean dishes. You can have afternoon tea at the Le Grand Hall which exudes cozy yet luxe vibes while people watching or may be enjoy some drinks before retiring for the night. We started our day at the Le Restaurant where breakfast is served each morning. 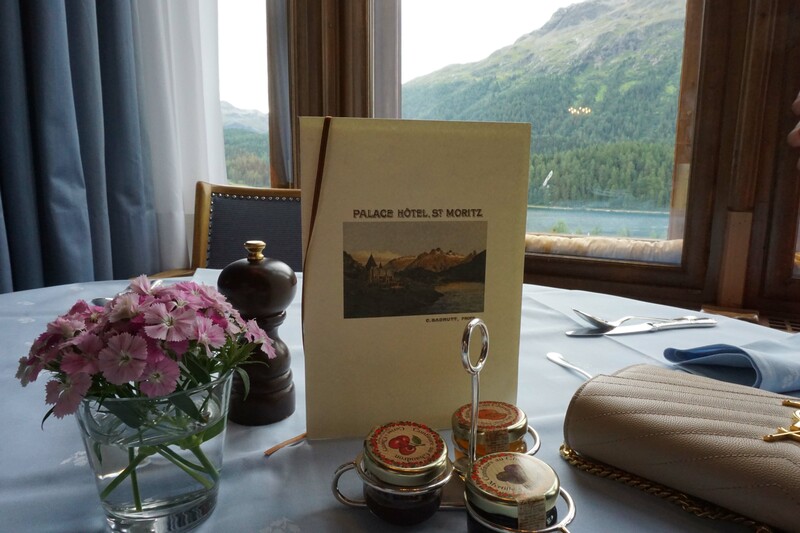 Le Restaurant is the grand dame of St. Moritz dining, all candlelight and white tablecloths, crystal chandeliers and double-height windows overlooking the snow-covered Alps. During high season, harpists and musical ensembles score breakfasts and dinners of haute French. The views from the huge windows were as grand at the breakfast buffet. 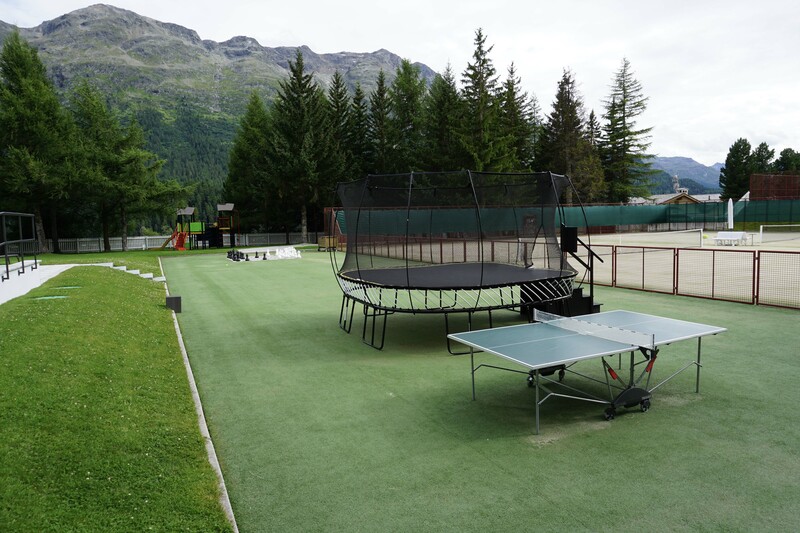 A tennis court is available in hotel grounds in summer, while guests can enjoy an ice rink in winter. 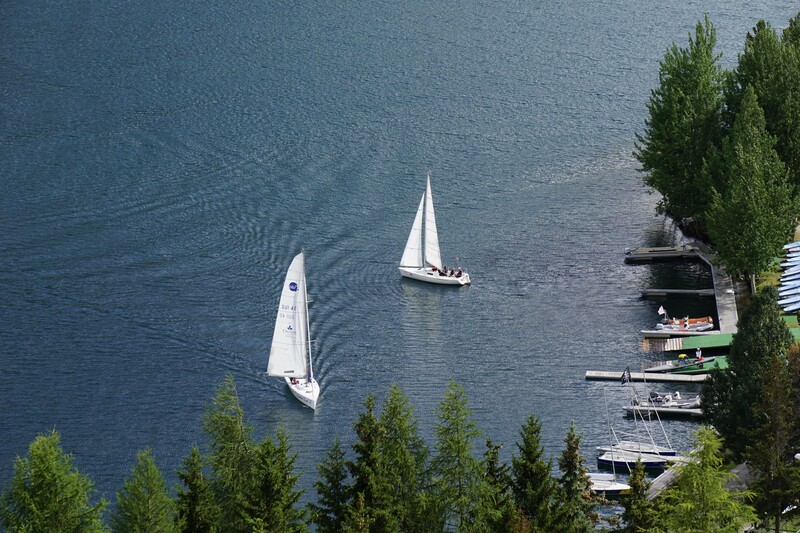 Lake Moritz is just 1,000 feet away where you can practice your sailing or bike around it. 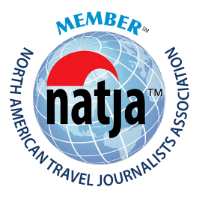 Guests also benefit from a spa and fitness area, a 24-hour front desk, valet parking, and free WiFi. A free shuttle service is available on arrival and departure to and from the train station, which is only a 1,150 feet away. 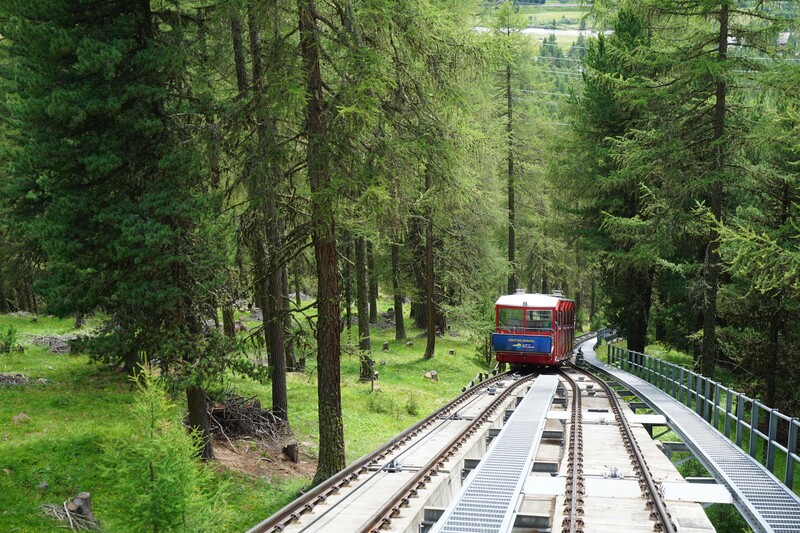 For a stay of 2 or more nights, the ski/mountain pass is included in all rates for every day of the stay, offering free use of all funiculars and buses in the region. 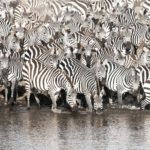 Which we think is a great deal, it is almost like an all inclusive price that excludes just the meals – the cable cars to the mountains and ski/mountain passes can add up. We ventured up to Corviglia where we had lunch one day and to Muottas Muragl on another day, more about that later. (The views definitely warrant its own post, don’t you agree?! 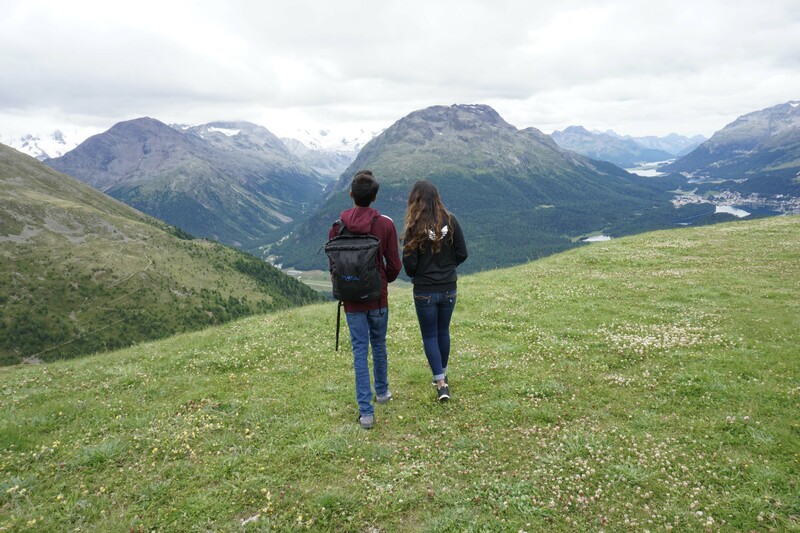 🙂 ) The hotel can pack you a nice picnic to enjoy up on the mountains after some hiking or skiing. 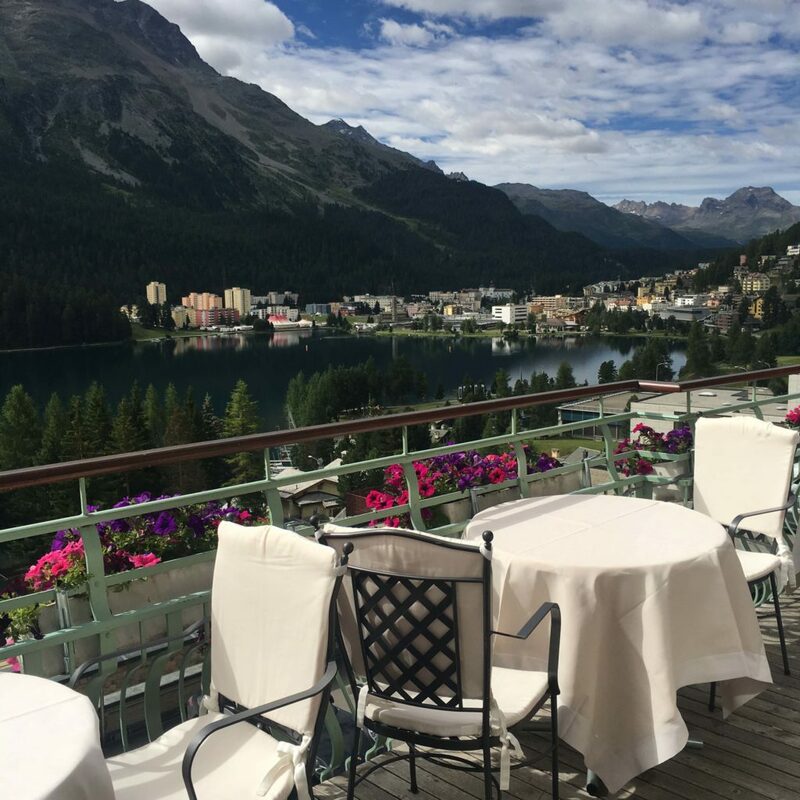 We were there during summer – so after some hiking, we had lunch at the terrace of Muottas Muragl with views of the Engadine’s Lake District. 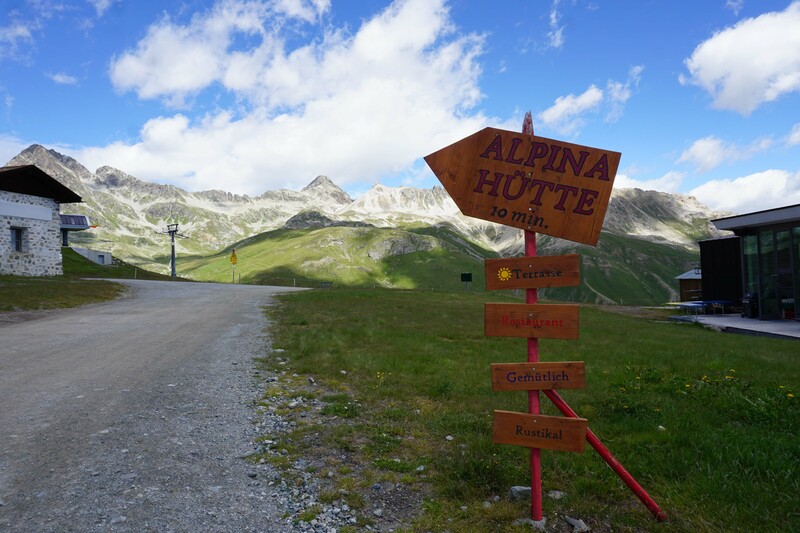 There are some Alpine huts in the mountains as well, serving up some Engadine meals. We saw listened to the cowbells clanging as they were grazing merrily in the pastures filled with wild flowers. 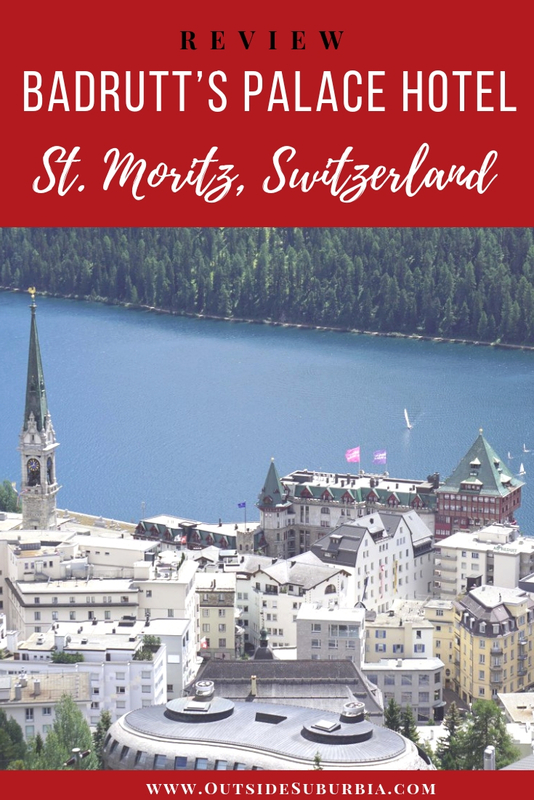 To be honest we didn’t spend much time exploring the city of St. Mortiz – we spent more time inside (a hotel) than we have ever in all our travels. 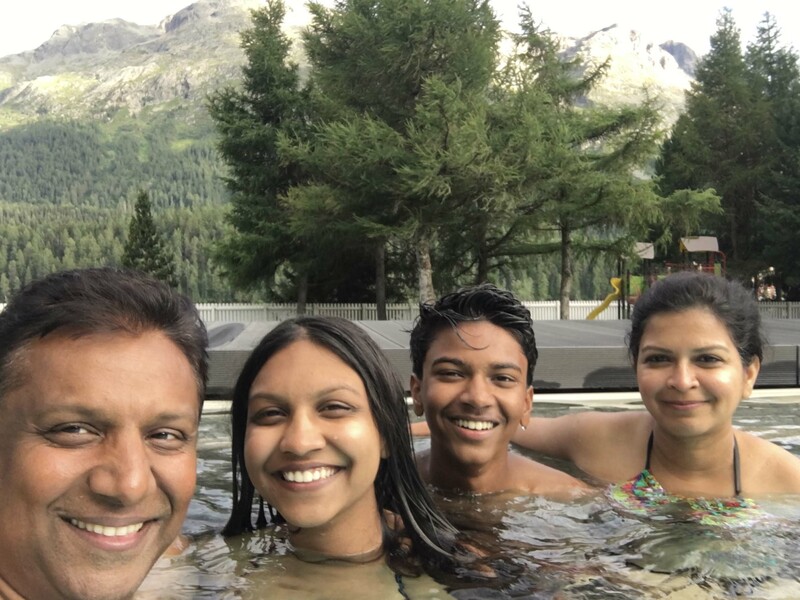 I had to beg the crew to leave the hotel for just a few hours to go visit the gorgeous mountains nearby – they would rather stay indoors enjoying the hotel pool and the grounds. 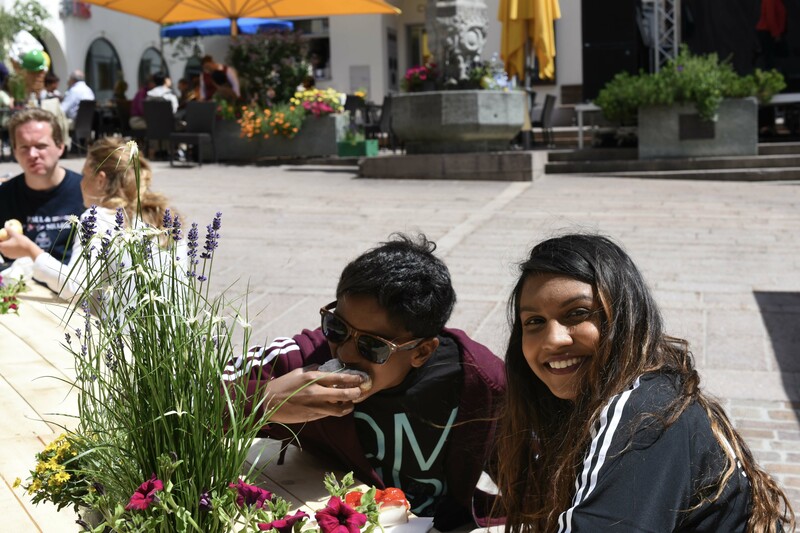 We did stop at the city center on market day for some pastries and to do some souvenir shopping. Lucky for us all the glorious shopping was steps away, right outside the doors of Badrutts. 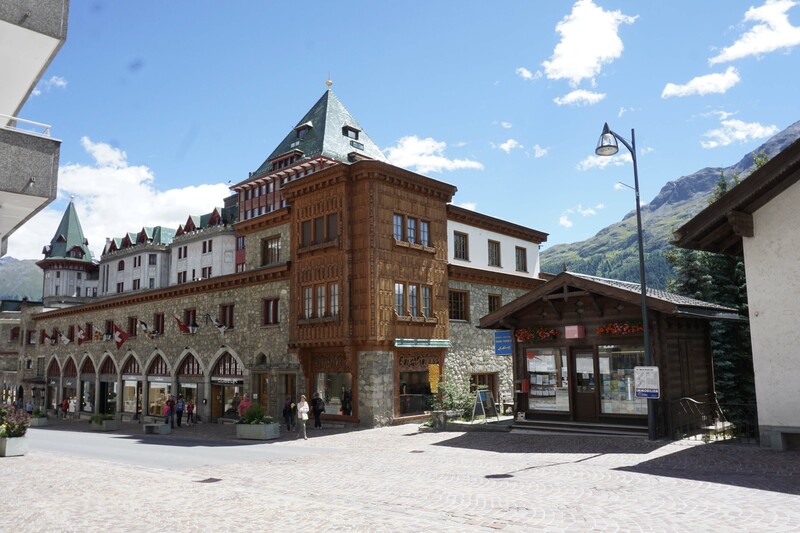 La Via Serlas in St. Moritz is the shortest and highest luxury shopping street of the world and offers an enormous range of high-profile brands like Gucci, Valentino and luxury watch brands that the Swiss are known for. 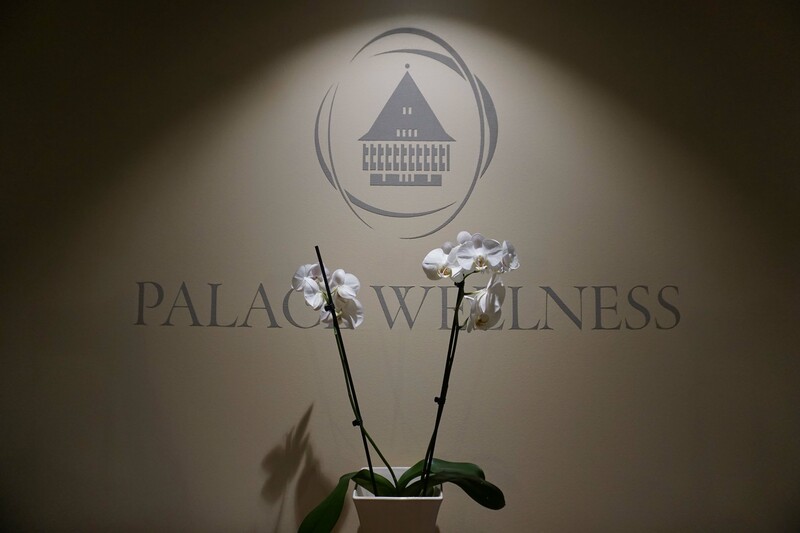 Back at the hotel, after a day of exploring the mountains we took advantage of the hotel’s spa facilities: known as Palace Wellness. It was located in the bedrock 6 floors below the hotel’s ground floor. 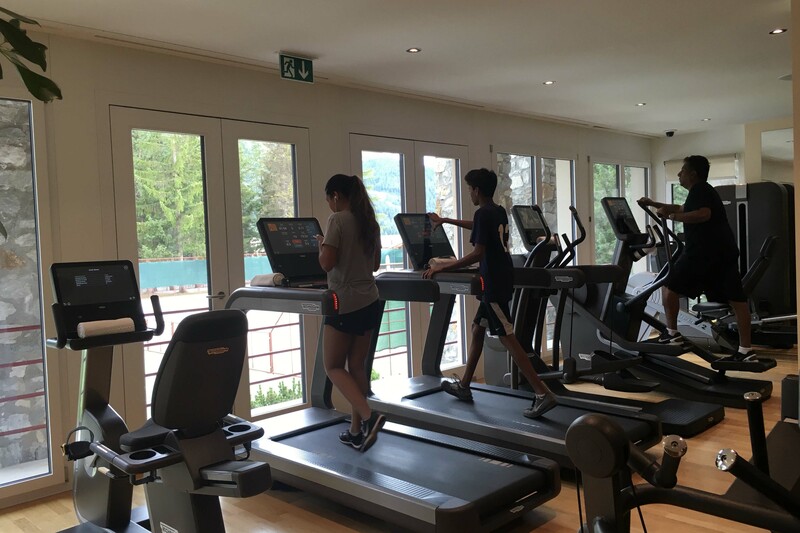 This consists of a Treatment Center with 10 treatment rooms, a Fitness Centre, a private sun terrace, outdoor tennis courts in the summer that doubles as an ice rink in the winter, the Kids’ Club Palazzino and an indoor swimming pool. 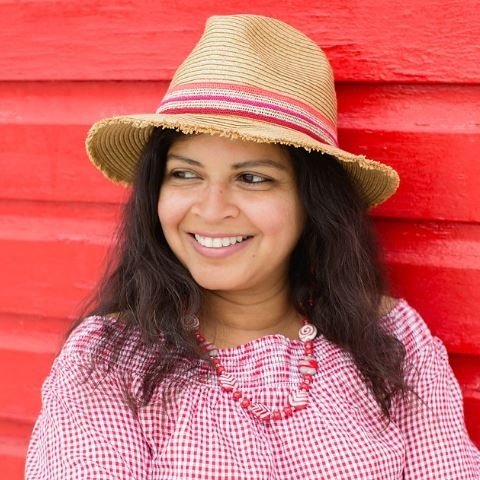 The eco-friendly spa draws inspiration from its majestic surroundings, uses organic botanicals and incorporates Indian, Thai and Japanese traditions. The Palace Wellness also has an outdoor pool where you can swim with the mountains in the background. 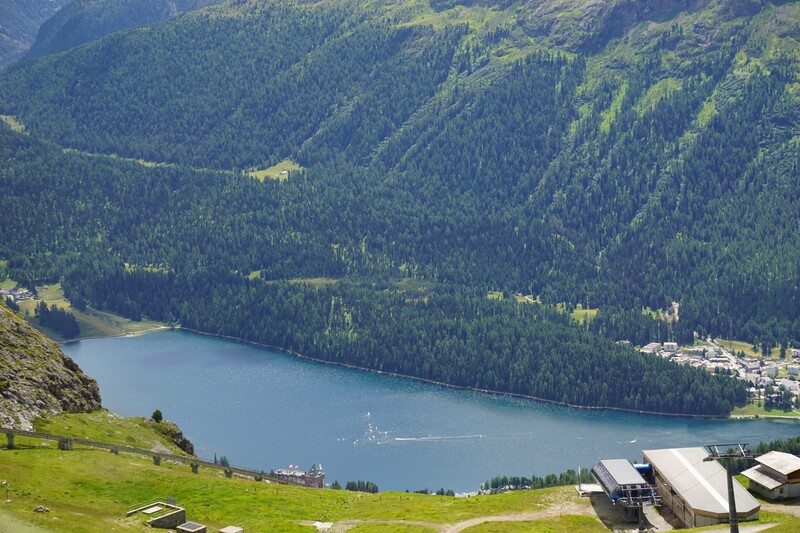 Badrutt’s installed a pioneering heat pump back in December 2006, extracting water from the lake at 6°C and pumping it back down at 4°C, reducing the hotel’s carbon footprint by an impressive 1,200 tonnes per year. 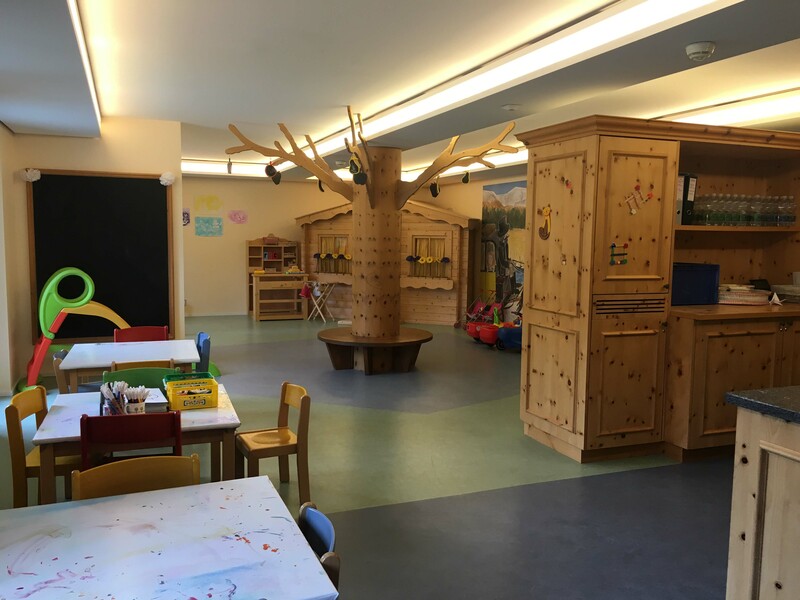 The Palace hotel is proud of this system that also provides all the energy requirements for the school next door. 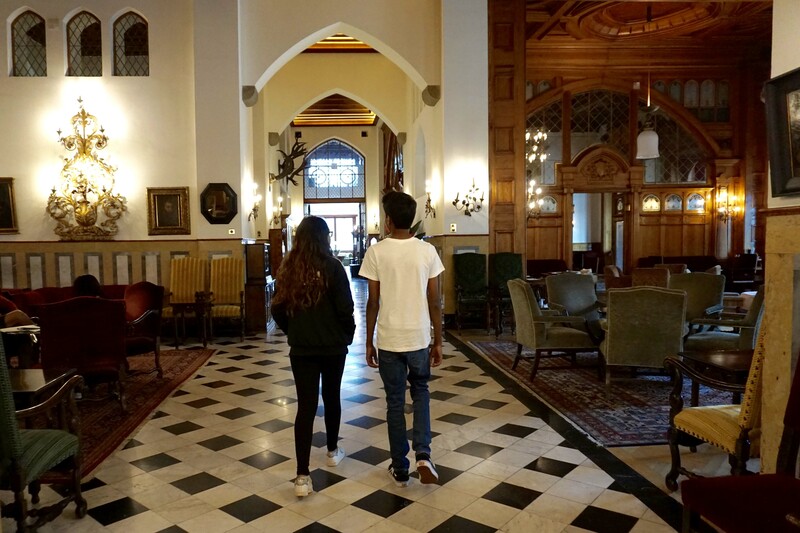 The magic of Badutt’s Palace cast a spell on us and it was difficult to say goodbye. 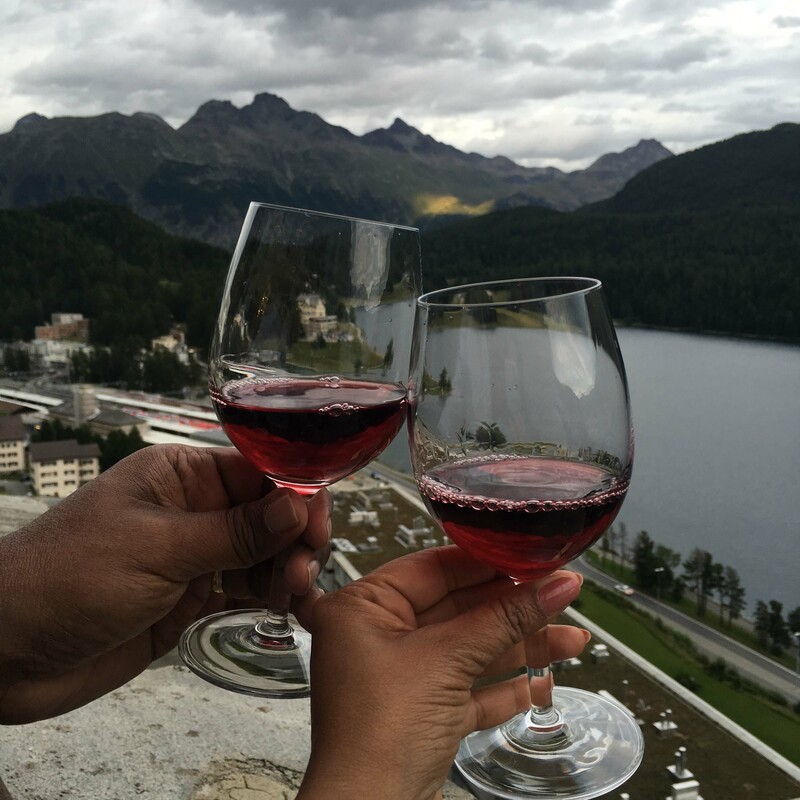 If you are looking to vacation like royalty, hope we have convinced you that the Badrutt’s Palace Hotel is the best St Moritz Hotel. 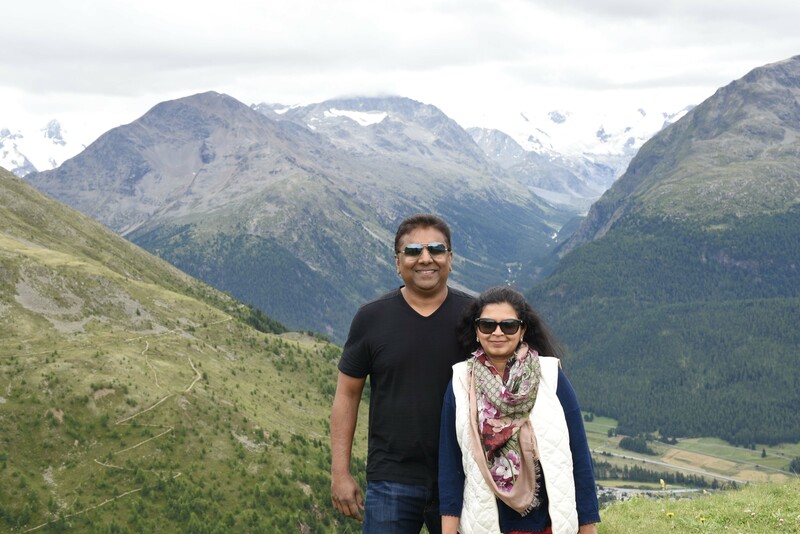 Our stay had been a short but sweet one – we were there only for 3 nights while on our Summer road trip through the Alps, but definitely memorable. It was hard to leave the Palace Hotel and the awesome staff who knew us by name. 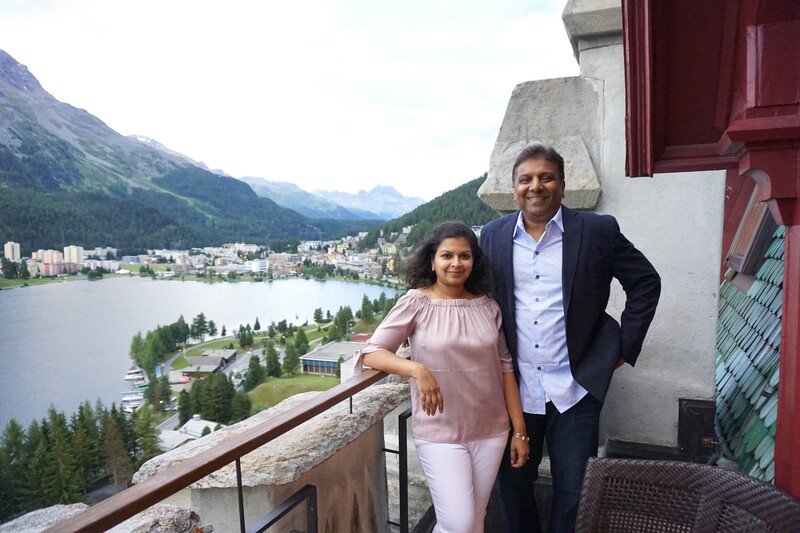 Badrutt’s, a sophisticated and grand hotel located in breath-taking scenery has been in my wishlist for a while and the experience of our stay more than exceeded my expectations. 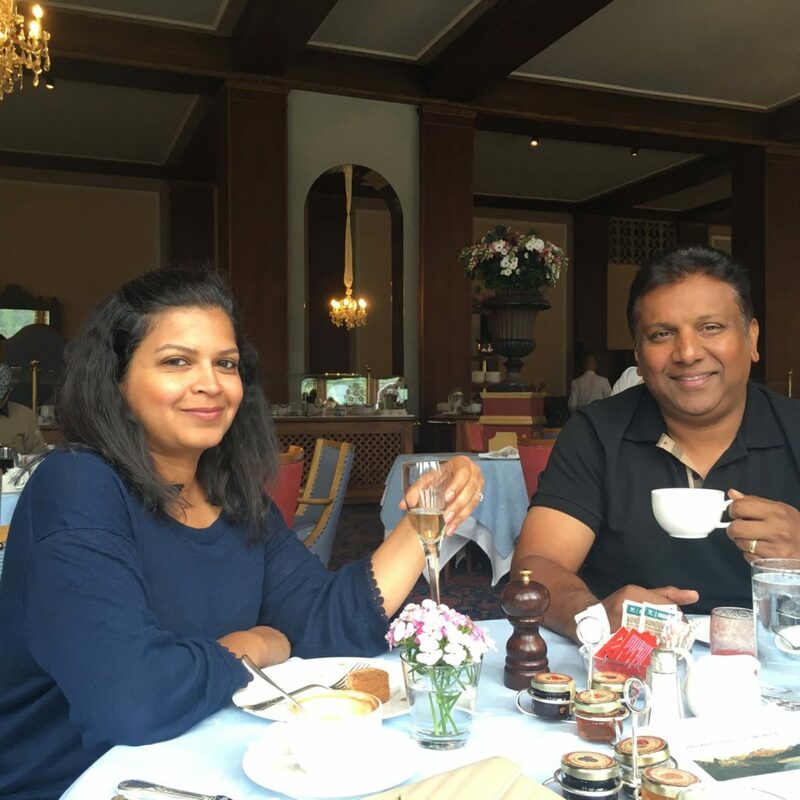 The history and luxury of hotel drew us in into its enchantment – even before we left we were planning a trip to visit during winter and experience the magic again. The balcony views of the beautiful Mountains and Lake St. Mortiz will forever be etched in my memory and D will always remember the Rolls Royce car drives. We loved the parting gift of chocolates shaped into the famous turrets of the Palace towers for remembrance as if we needed any! 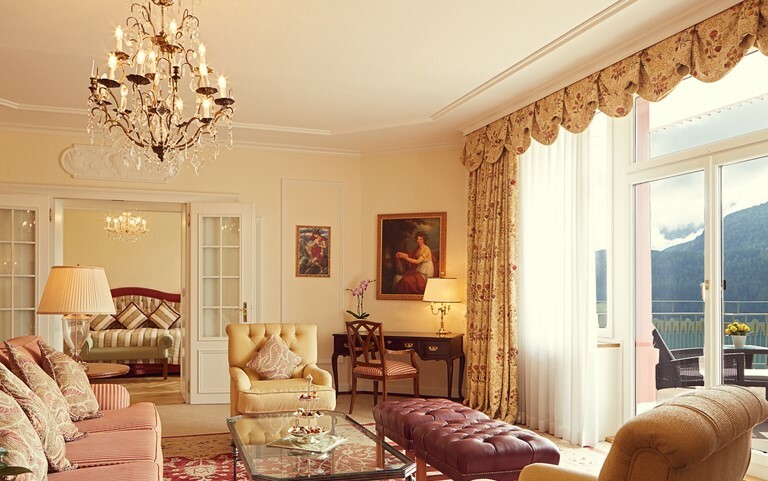 Hope we have convinced you to add this beautiful Palace hotel to you travel wishlist! Check Badrutt’s website for current rates and room configurations. 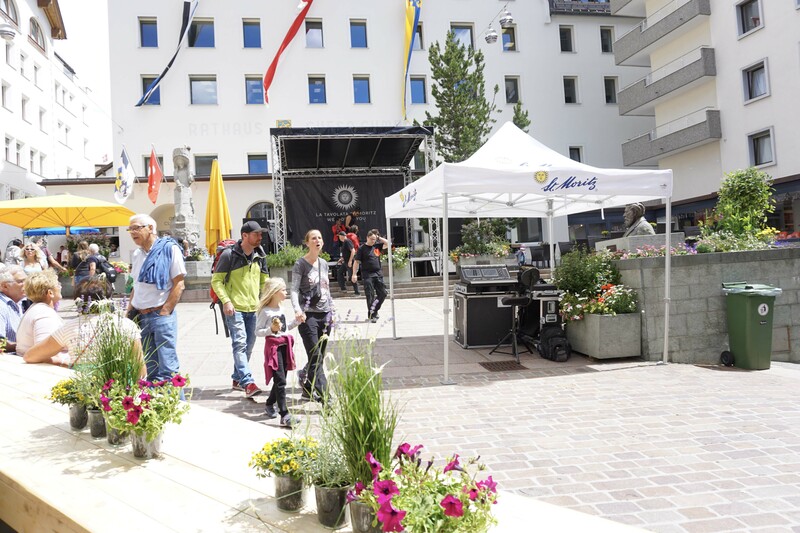 They are located at Via Serlas 27, 7500 St. Moritz, Switzerland. 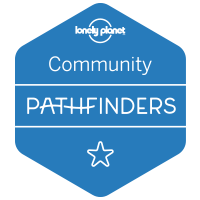 You can also email them at [email protected] Don’t forget for a stay of 2 or more nights, the ski/mountain pass is included in all rates for every day of the stay, offering free use of all funiculars and buses in the region. 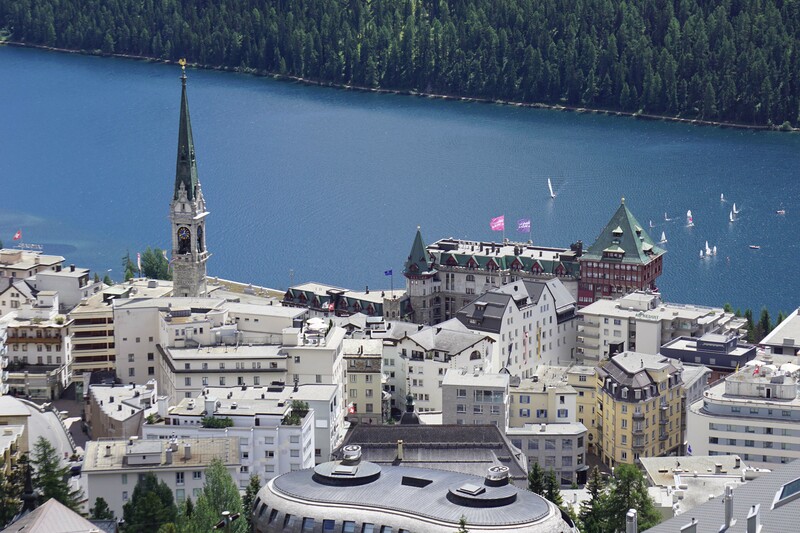 If you have been to St.Moritz, please let us know what your favorite experience was? 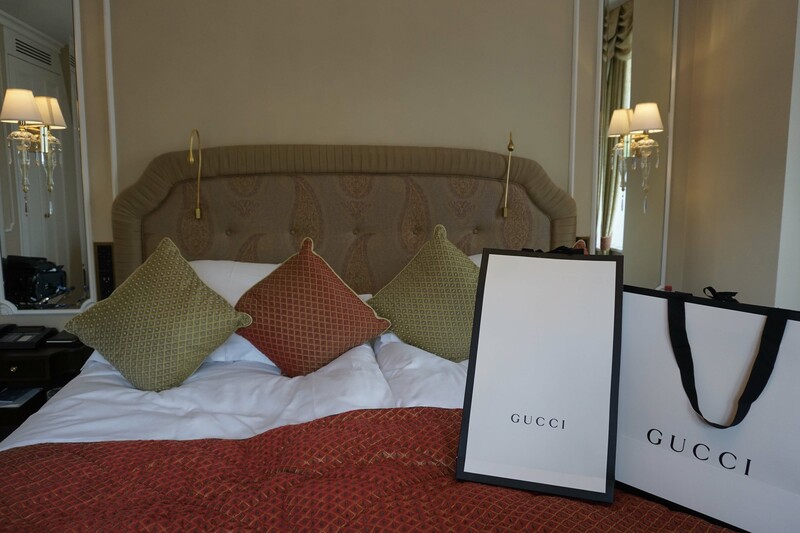 Have you visited other Palace hotels, share with us your favorite ones. I would have gotten starry eyed too. The place looks beautiful. As well as those views. I am glad you were able to peel them away from the hotel to see those beautiful mountains and gorgeous blue water. 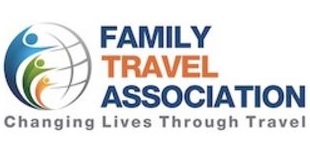 Thanks Holly – It was difficult to get the family out of the hotel. 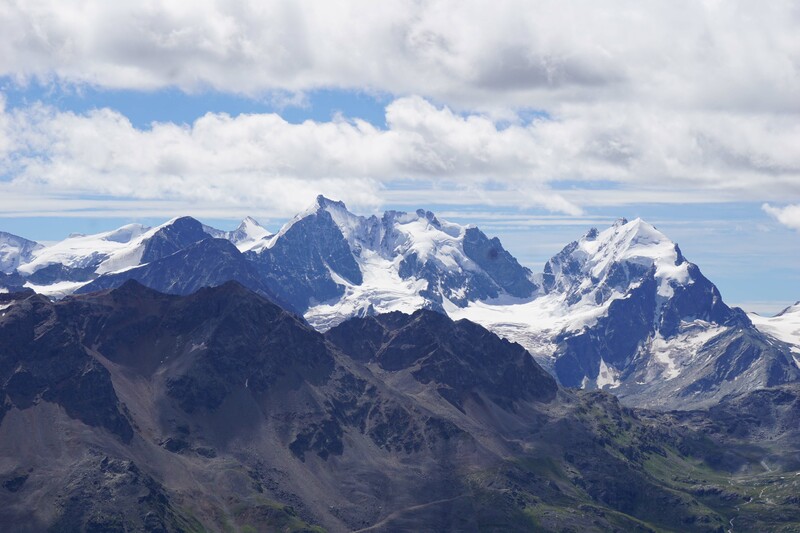 But once outside we fell in love with the mountains and gorgeous scenery. Wow! The scenery is breathtakingly beautiful. 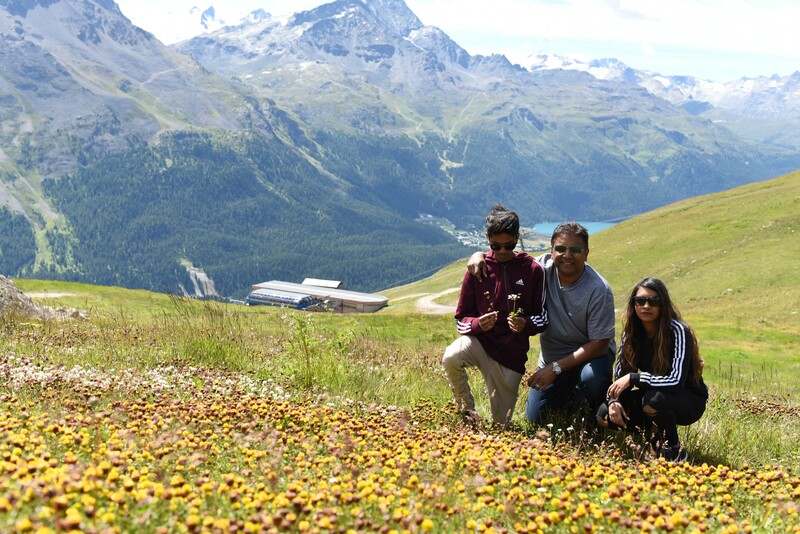 I adored Switzerland but have only been once and didn’t have enough time. The hotel looks very luxurious and the service sounds like a high standard. All of those restaurants; I’d be indecisive and would need to try a different one every meal! 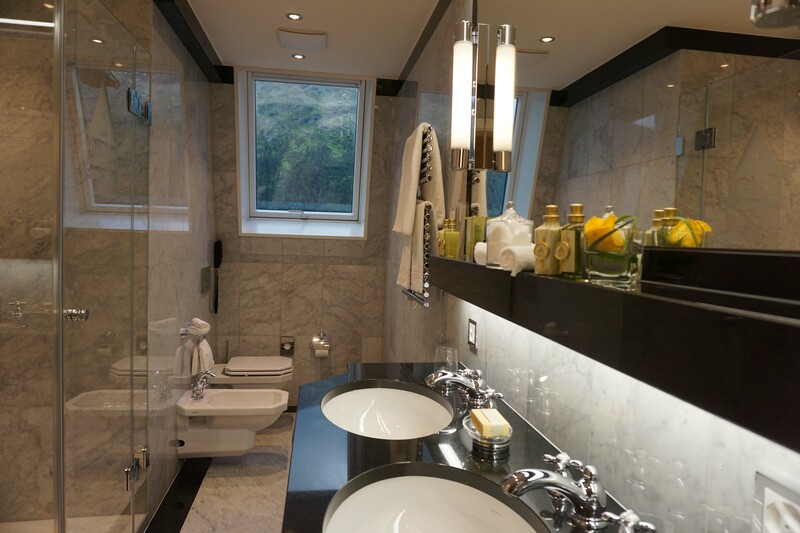 This would be perfect for people looking for a luxury ski break or time by Lake Moritz. Oh yes, we didn’t get to try them all either! The service was top notch for sure. Thanks Kate! 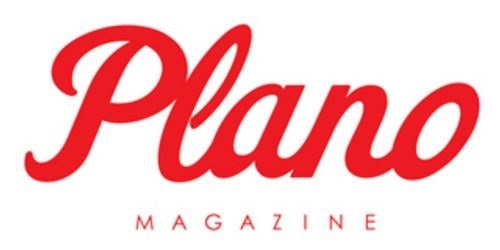 Extravaganza! It would be such an experience to stay even for one night there! Having a butler would make me feel like being Batman to be honest 🙂 I visited Switzerland in May and I adored the landscape. This is not something that can be found anywhere! Getting dropped off by a Rolls Royce, personalized butler service, free mini bar, and a hotel spa? Yes I can see why your family wanted to spend all their time here. 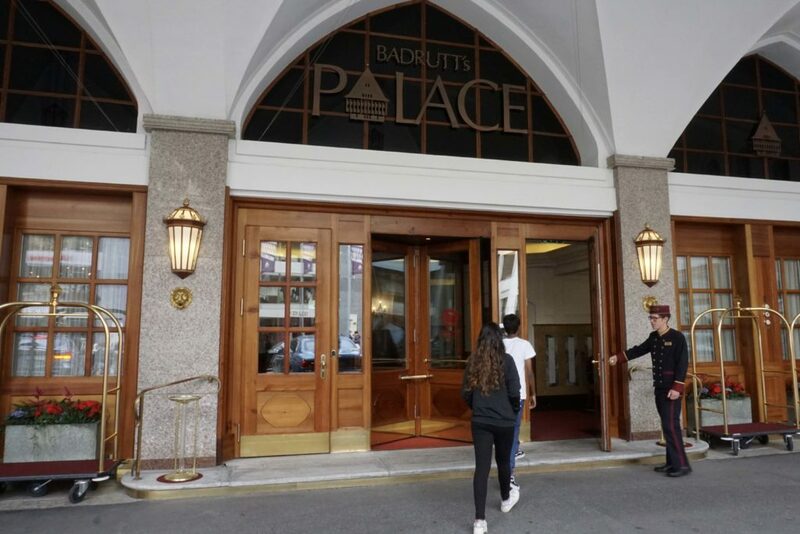 The Badrutts Palace Hotel looks amazing. Thanks Alouise, Badrutts Palace is one of the most luxe properties we have ever stayed at.